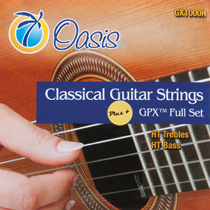 Being a classical guitar player, I prefer powerful, punchy treble strings. I never could find a set of nylon trebles that met this criterion. A second problem I found with nylon trebles is the “tubby” sounding 3rd string. Instead of projecting a powerful clear sound, I just hear a dull or muffled sounding string. Fluorocarbon (carbon treble) monofilament solves both of these problems. We actually use two types of fluorocarbon. The 1st string is specially made from a fluorocarbon monofilament designed to eliminate string shredding, which is sometimes associated with fluorocarbon 1st strings. The 2nd and 3rd strings are made from a different fluorocarbon monofilament to enhance their particular tonal properties. Where the GPX+™ has really separated itself from the competition is the tone and sustain. One comment we hear about other fluorocarbon classical guitar strings is that they sound brittle or thin. Not so with our GPX+™ carbon treble strings. Most players feel that they have the beautiful tonal properties of nylon with the power and punch of fluorocarbon. 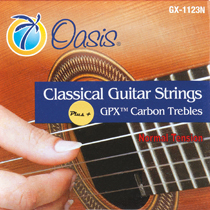 GPX+™ carbon treble strings come in two tensions: normal and high. They also are available in a full high tension set paired with our high tension Sostenuto™ classical guitar bass strings. 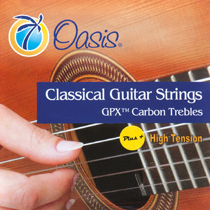 GPX™ Classical Guitar Strings For most guitars, GPX+™ strings produce beautiful tone with excellent sustain. **James Piorkowski is a professor at the Fredonia School of Music, State University of New York, serving as the head of the guitar program since 1983. In 2006, he received both the President’s Award for Excellence and the Robert W. Kasling Award for Scholarly and Creative Excellence. He has toured extensively and was an 18- year member of the world-renowned Buffalo Guitar Quartet, which disbanded in 2000. Jim has a world of experience and, most importantly, he is a great guy, who served as a sounding board (pun intended) for the development of our GPX+™ Carbon Trebles and Sostenuto™ classical guitar bass strings. 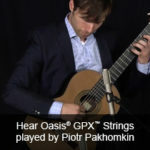 Award-winning guitarist, Joseph Palmer, has been recognized as one of the most highly captivating and dynamic young performers to emerge from the American guitar scene. Joseph began studying classical guitar at the age of fifteen in his hometown of Rockwall, Texas. He has traveled extensively throughout the U.S. and abroad, being awarded a total of sixteen top prizes in international competitions, including the World Guitar Competition and Guitare Montreal. In recent years, Joseph has developed a passion for connecting with new audiences through outreach performance. In this effort, he strives to develop more engaging concert programs and to communicate about music in ways that are more meaningful to diverse audiences. 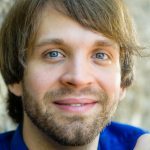 He is currently working in collaboration with Austin Classical Guitar as Community Engagement Performing Artist, and has given interactive performances for nearly 50 public schools in the Austin, Texas area. Recently, Joseph received his Doctor of Musial Arts degree from the University of Texas at Austin. He is currently on faculty at Texas Lutheran University as assistant professor of guitar studies. In addition, he has been running his own private studio of young guitarists in Austin since 2009.